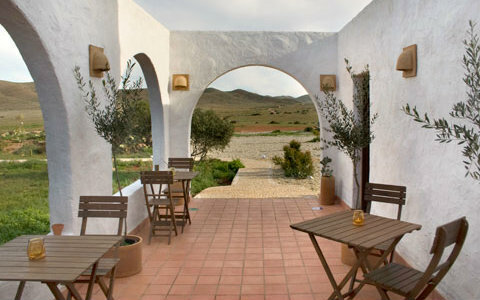 Cortijo el Campillo will blow your mind away. 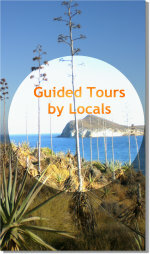 This is if you are a nature lover, of course. Set in a beautiful volcano landscape next to Sergio Leone's Western Locations in Albaricoques and close to Federico Garcia Lorca's real life setting of "Blood Wedding", it is a perl. Your hosts will be Annika, who runs the cottage, making sure you will feel at home and Martin, who offers optional activities like cycling tours and paragliding! 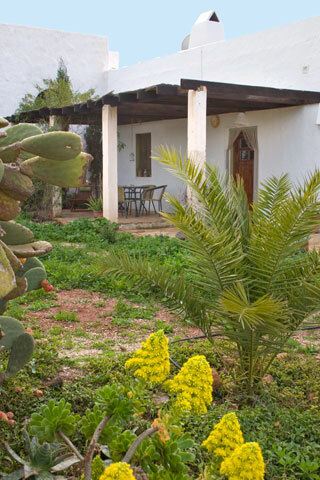 This former one hundred years old farmhouse has been carefully and lovingly refurbished and converted into an ecological rural guest house. 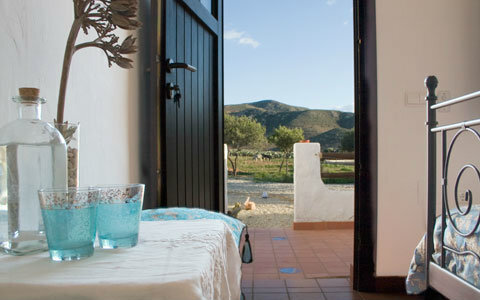 While the traditional architecture was maintained, it boasts all modern confort, including solar-powered under-floor heating throughout the house for winter months, a large cosy kitchen and dining area with an old stove as well as terraces. 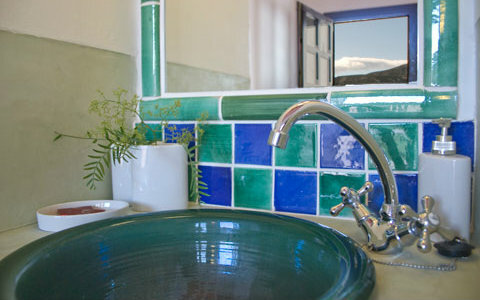 You may choose from 5 differently decorated and independent rooms including bathroom and terraces with views of the wonderful volcano landscape. Choose your favorite room color from red, green, blue, yellow and beige! 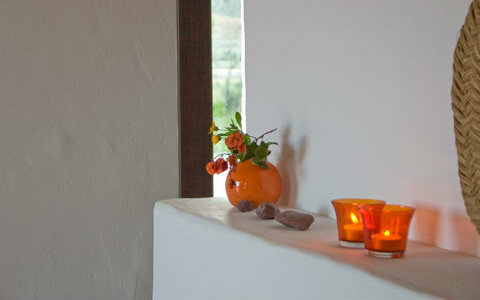 Decorated in warm tones which transmit energy and vitality to make you feel comfortable. 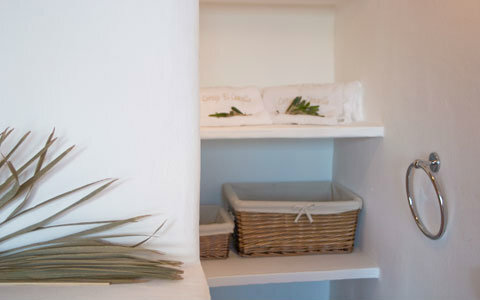 Rooms are equipped with traditional furnitures made of natural materials transmitting purity. 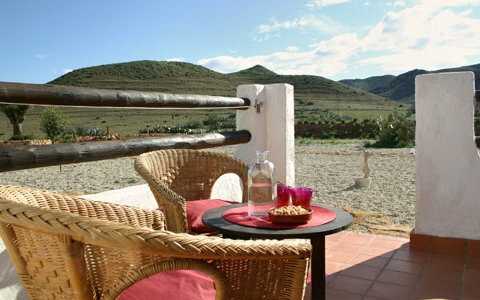 There is also an independent annexed cottage "El Campillico" available for rent. 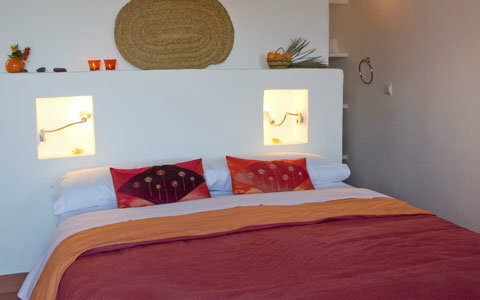 It is a 2 bedroom studio suitable for 2 up to 4 persons, featuring bathroom, lounge and fully equipped kitchen and private terrace. 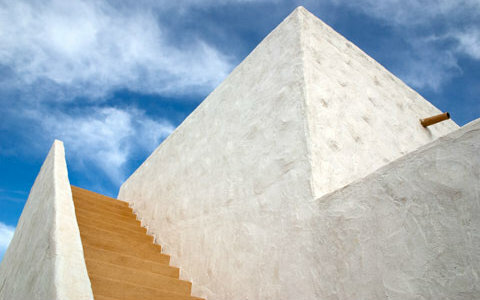 El Campillico is a complete house on the same property. 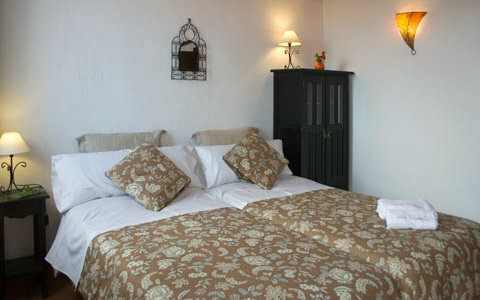 It boasts a lounge with chimney, 2 bedrooms, one of which with doble bed and the other one with two separate beds. 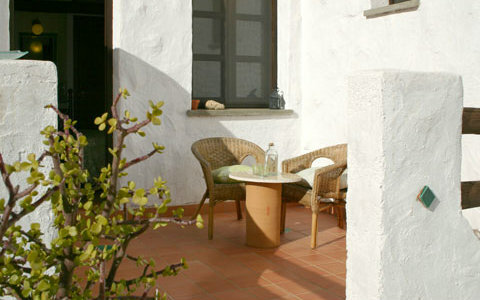 Its decoration simple with warm colors and the house is surrounded by green plants. 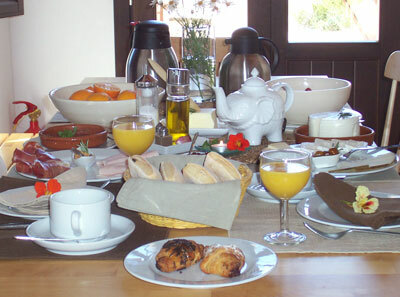 The general facilities, available for all guests, include a kitchen and dining area where breakfast is served and where you will find everything necessary for a self-catering holiday. There is also a large lounge, library, television and games as well as a roof terrace for sun-worshipers or those who love to gaze the stars.